Like to travel? Interested in wildlife? Then researchers want to hear from you. A flight attendant had a bad day at the office when she spilled a tray of drinks on her airline’s chief executive. Maddie Peters, 28, and the rest of the crew on an American Airlines flight from Phoenix to Dallas had been warned that CEO Doug Parker would be flying with them last Thursday. “We knew he was going to be on board and had to be on our best behavior,” Peters told NBC News. But as Peters offered beverages to passengers in first class, the person ahead of her in the aisle suddenly stopped and took a step backward, sending her tray flying. “I wanted to drop dead right there,” Peters later wrote in an Instagram post. Parker laughed it off and then visited the galley to reassure Peters. “I asked him, ‘Am I fired?’ and he said, ‘Of course not,'” she recounted. Peters, who has visited 32 countries while working as an American Airlines flight attendant for four years, joked that at least she’d made an impression. Caroline Radnofsky is a London-based reporter for NBC News. 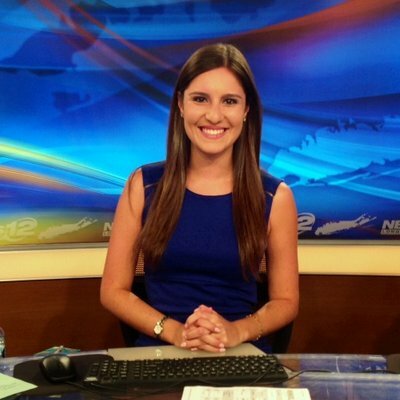 Caitlin Fichtel is a New York-based social media reporter.